Inspired by the trip to Peru I run to the shop to buy fresh fish to prepare Cebiche, one of the most common Peruvian appetizer. The raw fish is “done or cooked” by the action of citrus juice like lime or lemon. Originally Peruvians were using juice from sour oranges. Cebiche, or ceviche, is now eaten all along the Pacific coast, and every restaurant has its own version. The most common is with white fish, lime, chili, celery sticks and parsley. 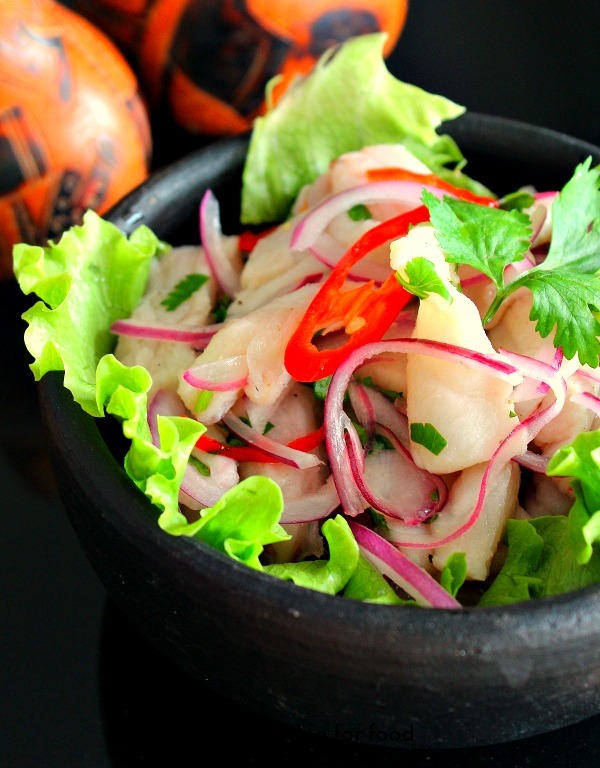 My favorite Cebiche is with white fish fillets such as cod, halibut or coley mixed with chili, lime juice, red onion and coriander. The marinating time is around 30 minutes but I prefer leave the fish much longer in marinate. Try and experiment with the timing and different ingridience to see how you like it best. Cut the fish into bitesize pieces, more like to sashimi about 2 cm in across and place in a bowl with the red onion, chili and coriander. Season with salt and pepper. It needs a lot of salt. Pour the lime juice over the mixture and stir gently. Cover and leave to marinate for 30 minutes, then stir again and leave for more 30 minutes. The fish is ready when it has become opaque, looks like it is cooked. Try it and check if you need some salt and pepper. When the fish is ready serve it immediately. 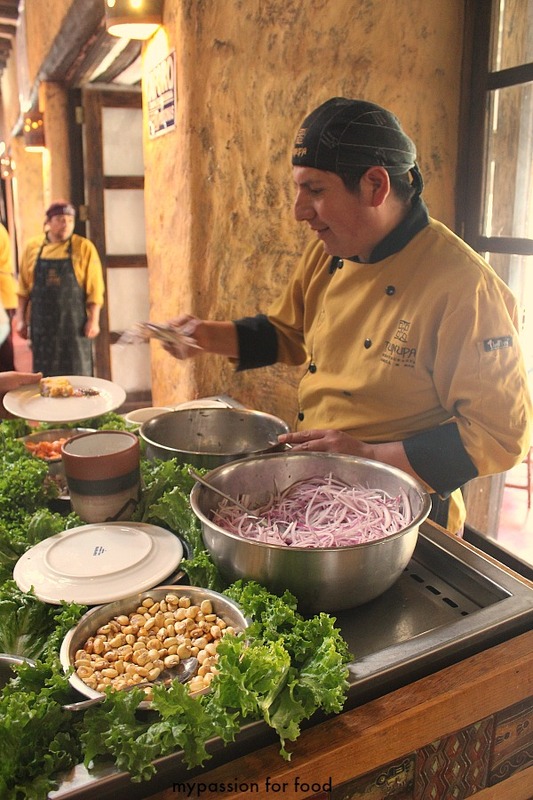 In Peru this dish is serve together with boiled sweet potatoes.